Today, we’re celebrating one of our favorite days of the year: World Sleep Day! The annual awareness day has been hosted by the World Sleep Society for a decade and is meant to invigorate conversations about sleep health around the globe. As per usual, this year’s festivities are occurring on the Friday before the Spring Equinox. While people all over the world will be commemorating the day with lectures and social media posts (#WorldSleepDay), we here at Sleepopolis thought we’d do something a little different. 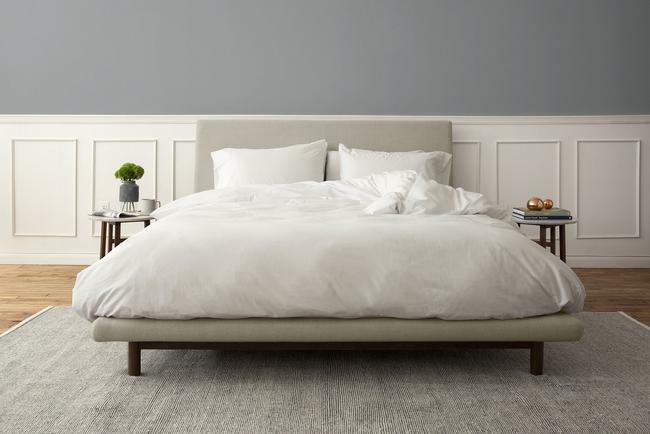 That being said, we’ve teamed up with Wright Bedding to bring our readers an exclusive discount code that can be used to get 50% off the Wright W1.27 Mattress! Wright has decided to extend this super exciting offer to the first 100 users that redeem the code WSDSLEEPOPOLIS at checkout today through Sunday. Not only does this special deal promote the company’s commitment to sleep health, but also reaffirms its dedication to helping more people across the country get a better night’s sleep. Before you head over to Wright Bedding, I wanted to take a minute to break down the specs that make the W1.27 such a fantastic bed. As always, I’d also recommend checking out our full review of the mattress, here. The brand’s flagship mattress is constructed with four sections of high-density memory foam, stacking up for a total 11″ of comfort. This design has been perfected over two years and was specifically built for pressure relief, support and breathability. Cover – The cover is made of a breathable, soft polyester blend. Prevents overheating throughout the mattress. Comfort Layer – This section is comprised of 1.5″ of gel-infused memory foam, a plush material that provides the sleeper with immediate comfort. The gel-infusion helps to combat the overheating often associated with memory foam. Middle Support Layers – The middle layers are made up of ZeroG foam, which is like memory foam, but finessed to respond more quickly to pressure. They’re soft, but get progressively firmer as they transition into the base below. Foundation Layer – And finally, the base, which is built with 6″ of poly foam. It’s extremely firm, imbuing the bed with its structure and stability. Anyone who wants a classic memory foam feel – If you have a preference for the pressure-relieving material, you’ll find a lot to love in this Wright mattress. Side sleepers – This bed is made of super soft foam (my testers gave it an average firmness rating of 5.25 out of 10), so will be great for side sleepers who need pressure relief at their shoulders and hips. Couples – The thick memory foam layers do a great job of containing motion, making it a fantastic option for couples. Like what you’ve heard? Purchase the W1.27 bed, here. And remember to use code WSDSLEEPOPOLIS to get 50% off your mattress purchase now through Sunday.